Lesotho is a land-locked and mountainous country in Southern Africa. Its defence force started as a Police unit but has evolved into an air squadron and later it became an Air Wing. 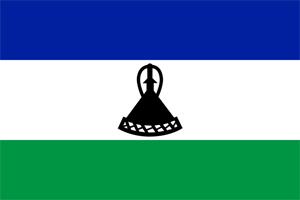 Nowadays it is simply known as Lesotho Defence Force, a branch of the Ministry of Defence. As in many African countries it had its share of troubles. Currently, the small force is still tagging along with some C212s, a single GA8 and some assorted helicopters, the latter being essential given the geography of the country.